So, eat, drink and be merry! 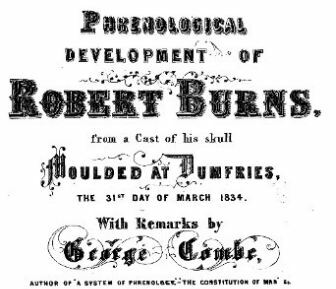 That phrenology report is amusing. Did you notice that his “language organ” was of “uncertain” level of development? How funny. I know. I love pseudo-science. It’s fantastic that they also have the illustrations of the skull. Everything else is rather full and large why would this be uncertain??? Thank you so much! I am honored. Thanks for always reading.